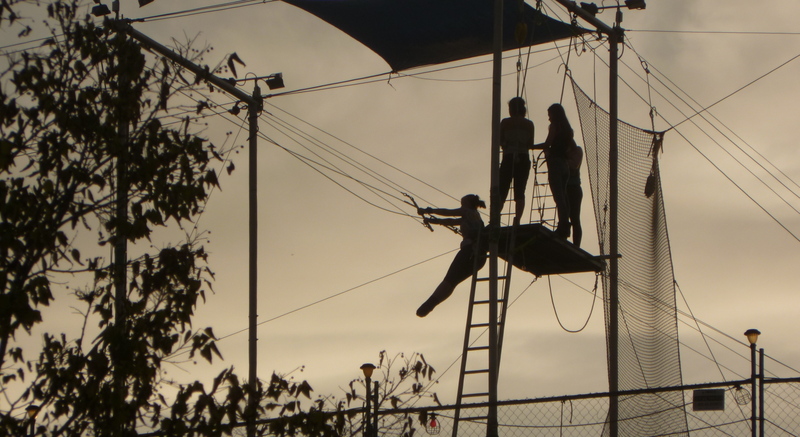 As our car inched along by the Hudson River on Manhattan’s far western edge, a trapeze school came into view, way up high, silhouetted against the sunset. Gridlocked, we watched student after student climb the ladder, grab the swing and … go! Every student took flight, guaranteed. With this kind of exposure, above their gigantic sign, it wasn’t know-how the school was selling. They were selling a feeling, one that all of us with our bumpers up against each other wanted. Some might call it freedom; others happiness or courage. People buy based on feelings. What feeling does the best use of your abilities offer your employer, client, or community? That feeling is the particular value you bring. If you imagine it’s your swing and grab on, there’s no telling where it will take you. Next What’s just outside of your umbrella? Previous How do you stand out in a crowd?